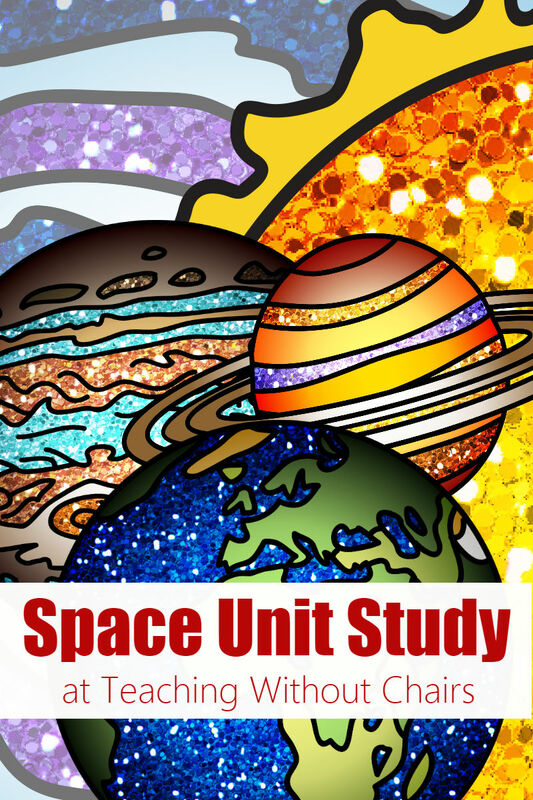 We are working our way through the solar system with these fun, hands-on space themed science experiments! 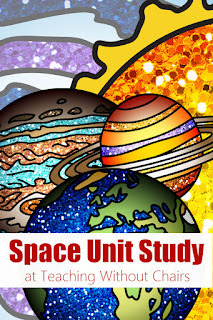 It's the perfect unit study because space is an exciting topic for everyone around here! I have extra interest in it lately because I'm studying astronomy this month as part of my MA degree! 1- Carbon dioxide (CO2) can be made here on Earth by simply combining vinegar and baking soda. 2- CO2 is more dense than our air. 3- CO2 will crowd out oxygen and extinguish fires. 4- CO2 will trap particulates (like smoke) and make hazy clouds, just like on Venus! * is the 2nd planet from the sun. * is the 6th largest planet in our solar system. * is only a tiny big smaller than Earth. 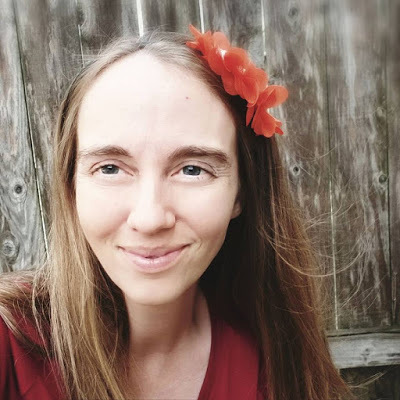 * takes 225 Earth days to go around the sun. * takes 243 Earth days for one day. * has an atomosphere made of 96% carbon dioxide. 1- Discuss carbon dioxide. What is it? Where is it found? 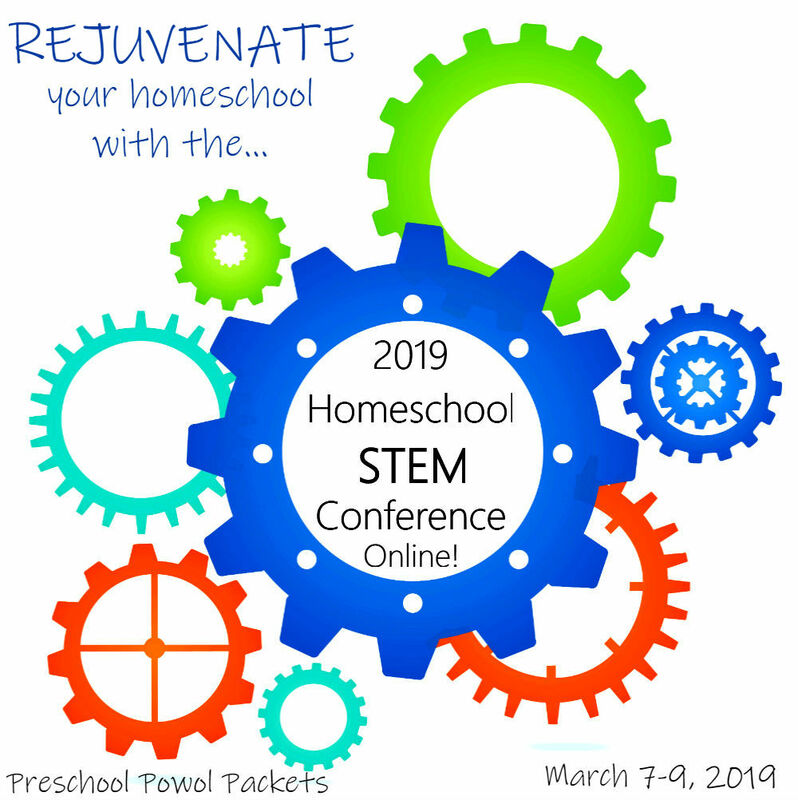 What do your kids know about it already? Key points: carbon dioxide is a gas. Less than 1/2% of our atmosphere is carbon dioxide. 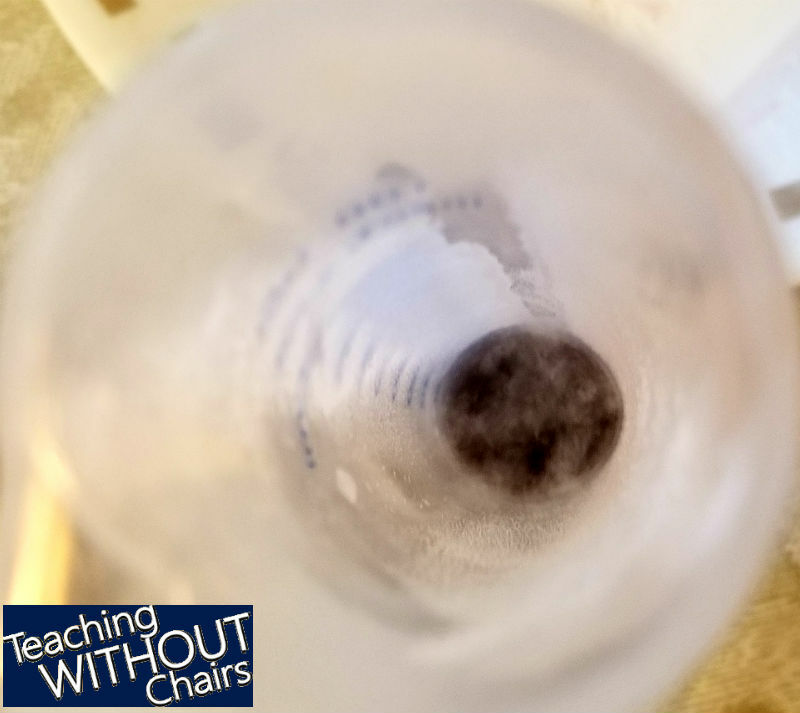 It is also the gas used to carbonate drinks, the gas released when you mix vinegar and baking soda, and about 5% of the air we breathe out. 2- Discuss the planet Venus. What do your kids know about it already? Key point: More than 96% of Venus's atmosphere is carbon dioxide. This traps a TON of heat, making Venus THE HOTTEST planet in our solar system (over 800 degrees Farhenheit on the surface--hot enough to melt lead!). It also makes some fantastic toxic clouds that prevented us from getting a good look at the planet until the Magellan probe in 1990 and the Venus Express in 2006! 3- Let's make some carbon dioxide! 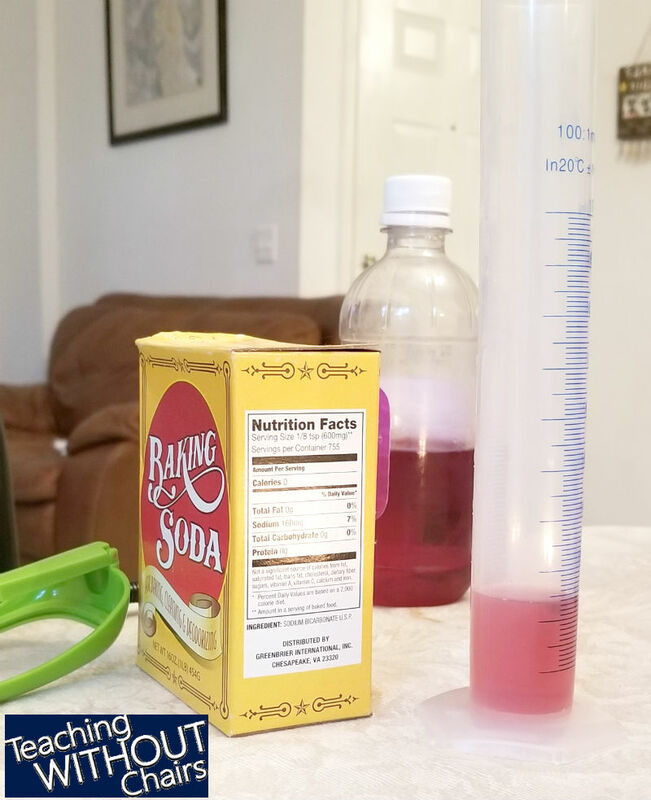 Pour about 10-20 milliliters of vinegar into your graduated cylinder. If you're using another container, just fill it a little less than 1/5 full. Add about a teaspoon of baking soda and watch the reaction! The bubbles are carbon dioxide bubbles. Carbon dioxide is much heavier than our air, so a lot of it will settle in the graduated cylinder after the reaction stops. 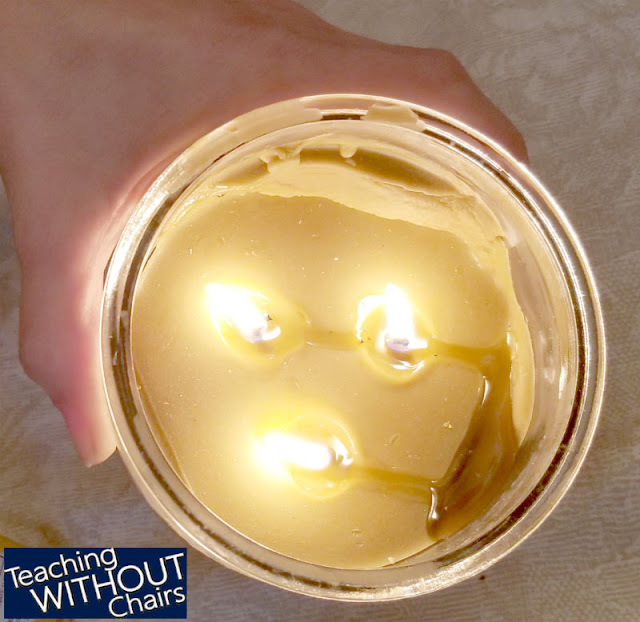 EXPERIMENT 1: Put out a candle with carbon dioxide. Once the reaction has stopped, light a candle. Carefully pour out the carbon dioxide (the gas, not the leftover vinegar!) onto the candle! The carbon dioxide will put out the candle! 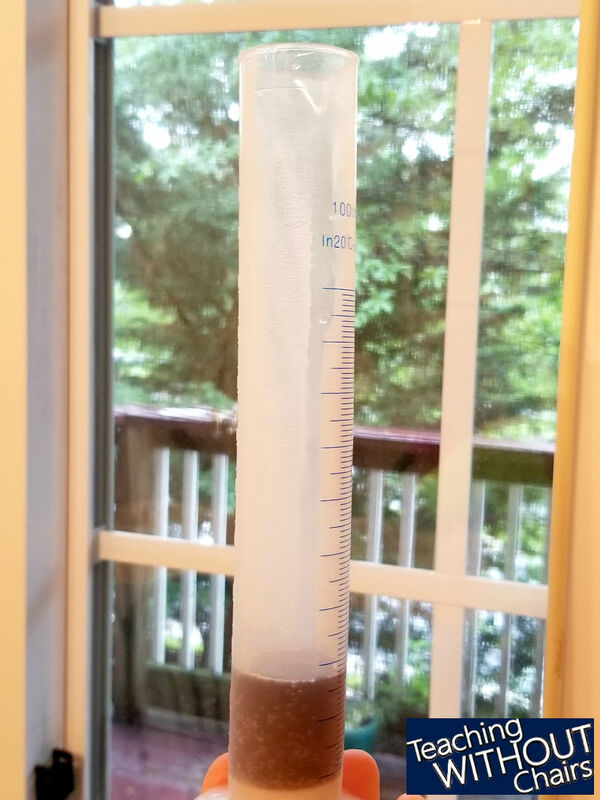 EXPERIMENT 2: You may want to dump out your graduated cylinder and make more carbon dioxide for Experiments 2 & 3. Once your graduated cylinder is full of carbon dioxide again, light a match and, using the tongs, "dip" the match into the carbon dioxide. Again, the carbon dioxide should put out the flame. EXPERIMENT 3: Keep the burnt out match inside the graduated cylinder for 5-10 seconds while it "smokes." The carbon dioxide will trap the smoke and make a cloud, just like on Venus! It's hard to see in pictures, but easy to see in real life! 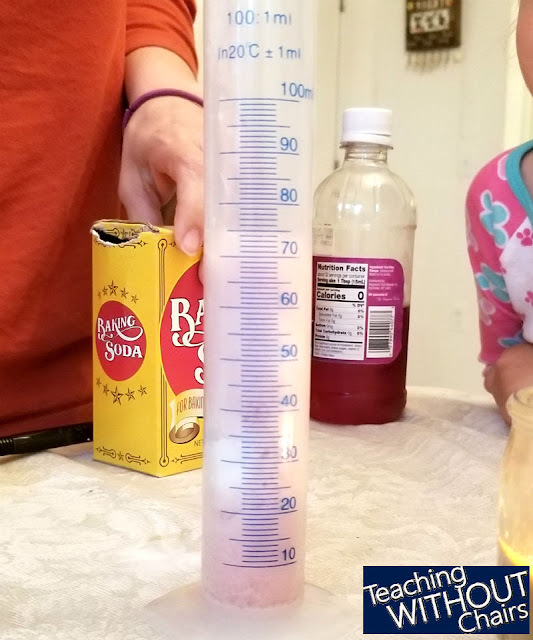 Discuss why it made a cloud (carbon dioxide trapped the very small, light smoke particles) and other ways to make a cloud in the graduated cylinder. 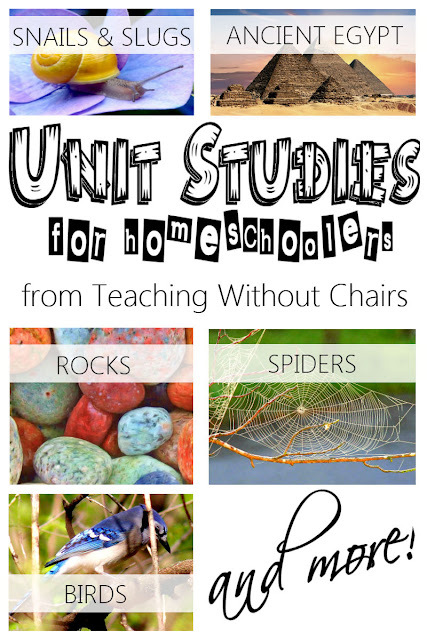 How else could you experiment with this? Would another container work? (hint: We tried it with a wider beaker, but the smoke escaped into the air before it got caught in the carbon dioxide. Also, a more shallow container would let both the carbon dioxide and the smoke out before they could interact very much.) Could this have any implications for environmental pollutants on Earth? Be sure to check out our other carbon dioxide post here to learn more about Venus's atmosphere! 1- Why is it hot on Venus? 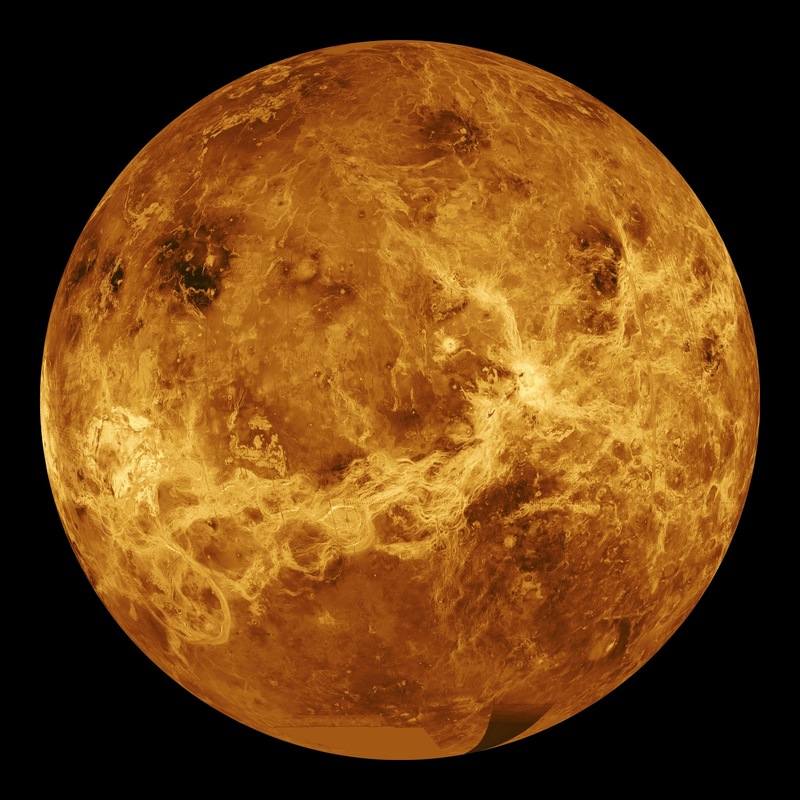 2- How is carbon dioxide related to the clouds that cover Venus? 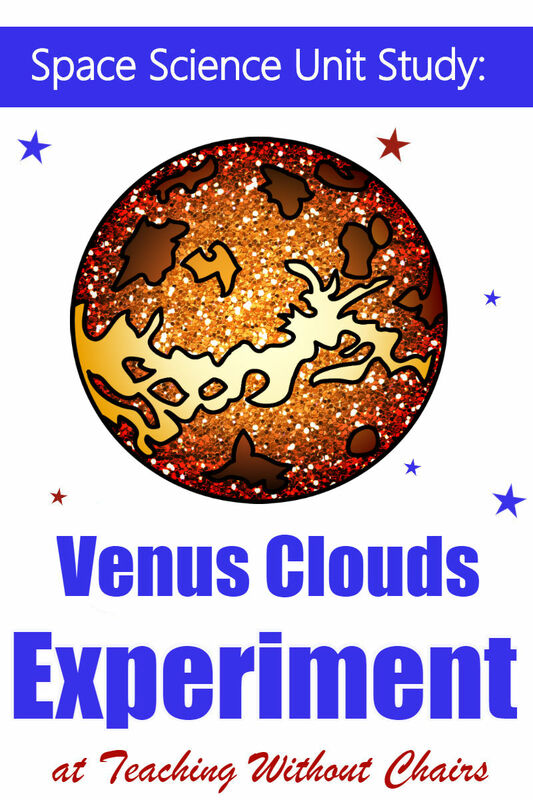 3- Use the internet to help you draw and label the parts of Venus's atmosphere. 4- How is our atmosphere different than the atmosphere on Venus? 5- Use the internet to help you summarize the missions (probes and fly-by's) that have been to Venus and what we learned from each one.